We had a twilight family adventure this week that I will share more about later. It was just before a storm so the sky was grouchy and the air was magic. 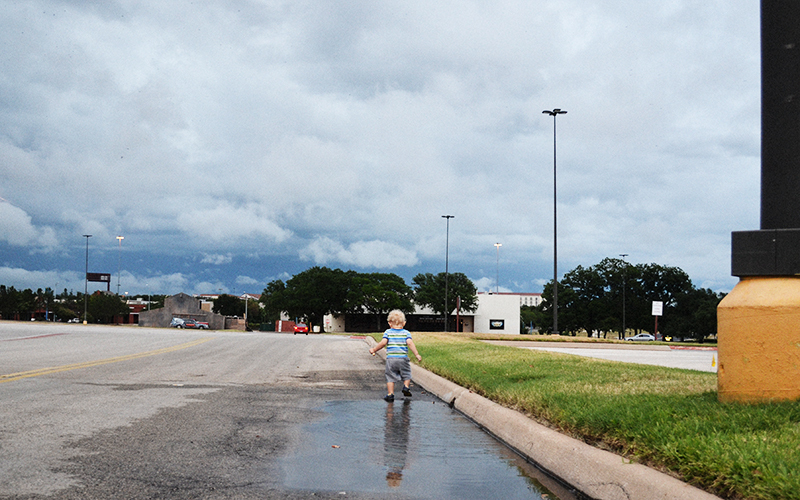 And Eddy, of course, found the puddles. How cool are these photos of kids in front of a projector? And a baby in a bath. Need I say more? Amazing! I have a couple of little puddle fans too! Thanks so much for the link! Love the feel of this photo of eddy! Its raining here all week and Im hoping to get some rain portraits too! Twilight family adventures! Just saw your picture of you and your husband below. I see that Eddy looks JUST like his dad, huh?! So cool!